Where do I need to buy family health insurance? Home / FAQ / When do I need to buy family health insurance? You can buy family health insurance privately from an insurance broker or agency or as a group policy from your employer. If your employer offers a group policy, which you are eligible for, this, is usually the best coverage. However, if your employer does not offer a group policy for your family, you may have to purchase private health insurance. Enter your zip code now to compare health insurance rates for your family! Family health insurance can be quite costly, so it is very important to compare cost with coverage before purchasing a policy. Why should I purchase family health insurance? With the new changes in health insurance, many companies are charging a surcharge to employees if their spouse has access to insurance from their own employer. It may be cheaper to buy private health insurance rather than paying a surcharge to the employer. Depending on your family and your family’s needs, a group insurance policy might not be the best answer. You may find better coverage by purchasing private health insurance. According to SmartMoney, with the cost of health insurance on the rise, the employer is forced to pass on the rising cost of insurance to its employees. SmartMoney explains that 16% of the premium cost is passed on to employees for a single person and families are responsible for 28% of the premium cost. Since most of the families medical expenses come from doctor’s visits, it is imperative that you have an insurance policy, which covers seeing a physician. The policy should also have a low co-payment for these doctor’s visits as the American family is spending a great deal of time at the doctor’s office. Inpatient hospitalization comes in second for family medical expenses. Be sure and purchase a family health insurance policy, which provides satisfactory coverage for inpatient hospitalization as this is the second place our money is going. Outpatient services and pharmaceuticals follow doctor’s visits and hospitalization as far as spending is concerned. Where can I get state funded family health insurance? If you are ineligible for a group insurance policy through your employer or are unemployed, you may qualify for a state and federally funded family health insurance. However, you must meet the financial requirements according to your state to be eligible for your state’s Medicaid program. There are links to each state on the U.S. Department of Health & Human Services website. Certain states even offer a health care policy to individuals who make too much to qualify for Medicaid, but do not make enough to purchase private health insurance. An example of this is sponsored by the state of New York. There is also a Children’s Health Insurance Program to obtain medical health insurance coverage for just your children. This is also a state and federally funded program where you must meet the financial requirements established. For more information on the Children’s Health Insurance Program also known as CHIP, go to the U.S. Department of Health & Human Services website. How do I know I am getting health insurance from a reputable company? When purchasing private health insurance, you should make sure you are buying from a reputable company. You should always compare similar insurance products from different companies before purchasing a policy. You can also pull out your old policy and determine what you liked and did not like about it so that you can improve on the next policy you purchase. Your needs may also have changed over time, so make a list of the type of coverage your family needs in an insurance plan. You should also use an insurance calculator to determine how much you can afford. You can find health insurance calculators on the Internet at websites. By using a calculator, you can determine the deductibles, co-payments, and lifetime payouts that you can afford. Look up the financial ratings of the insurance companies you are looking at to purchase a policy. The Better Business Bureau can provide customer service related inquiries, whereas A.M. Best will give you the financial outlook of an insurance company. Consumer Reports recently rated health insurance companies and found that biggest is sometimes not the best. 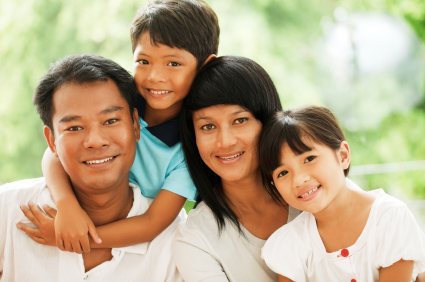 You can compare family health insurance plans by entering your zip code now!